Bonjour! C’est le premier blog post à propos de les livres française et je voudrais mentionner que mon français n’est pas le plus mieux, mais j’essaierai dur parce que je vraiment veux ameliorer mon langage, surtout écris en français. 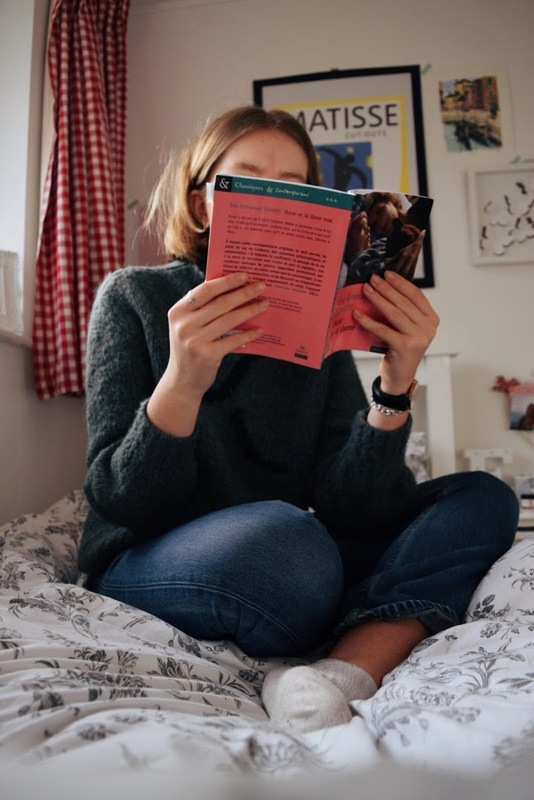 Le livre était une recommandation de mon ami Ruby, elle l’a lu et a pensé que le livre serait parfait pour quelqu’un qui ne sont jamais lire un livre en français. Vous pouvez lire plus à propos de mon ‘bilingual book club’ ici. Hello! This is the first blog post about the French books and I would like to mention that my French is not the best, but I will try hard because I really want to improve my language, especially writing in French. 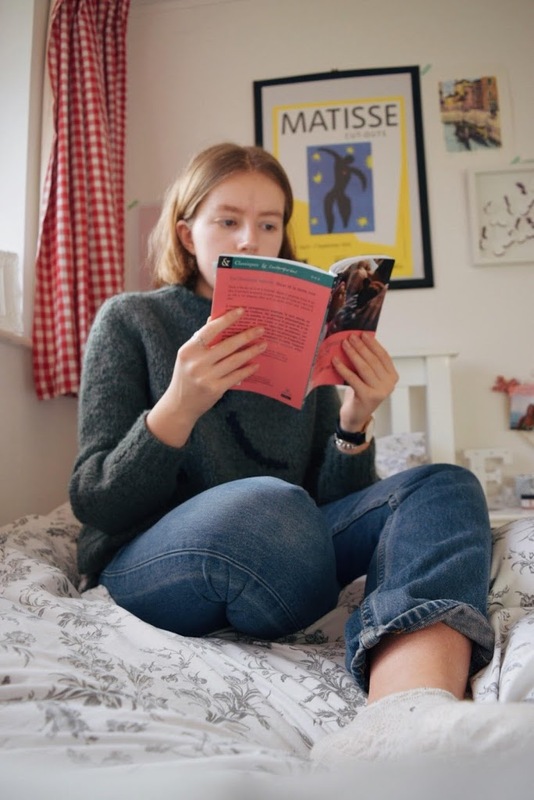 The book was a recommendation from my friend Ruby, she read it and thought the book would be perfect for someone who has never read a book in French. You can read about my ‘bilingual book club here’. 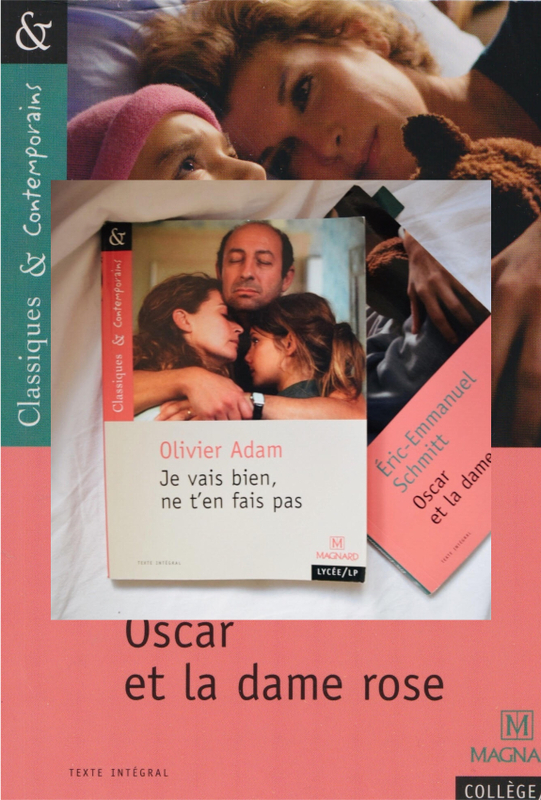 Le petit livre est assez triste, même si je n’ai pas pleuré je trouverai que je me suis senti malheureuse pour le personnage principal, qui s’appelle Oscar. Bref, l’histoire est en un séries de lettres à Dieu, et je dois mentionner que Oscar a seulement dix ans. L’endroit où Oscar habite est un hôpital, à cause de son cancer. L’autre personnage principal est Mamie-Rose, une infirmière mais aussi une vieille copine qui va l’accompagner vers l’acceptation de cette fin de vie en lui proposant entre des lettres à Dieu. Il y a aussi ses amis dans l’hôpital se sont appelées Bacon, Einstein, Pop Corn et Peggy Blue à cause de leurs maladies. The little book is quite sad, even though I did not cry I did find that I felt unhappy for the main character, whose name is Oscar. The story is a series of letters to God, and I should mention that Oscar was just ten years. The place where Oscar lives is a hospital, because of his cancer. The other main character is Mamie-Rose, a nurse but also an old friend who will accompany him to the acceptance of the end of life by offering between letters to God. There are also his friends in the hospital called Bacon, Einstein, Pop Corn and Peggy Blue, their nicknames are because of their illnesses. Le livre a répondu les questions à propos de la vie et la mort et il y a beaucoup de conte philosophique y compris un phrase qui a dit par Mamie-Rose: << la souffrance physique et la souffrance morale. La souffrance physique, on la subit. La souffrance morale, on la choisit >>. Peut-être le choix écrire un livre où la protagoniste est un enfant fait le problème philosophique de la vie et mort semble plus grave ou profonde, il n’y a pas d’espoir avec se maladie mais il y a son amoureux – pour Oscar c’est Peggy Blue. Nous voulons le bonheur de Oscar, peut-être plus parce qu’il est un enfant. Oscar est un personnage qui sensibilise de vivre – un sujet qu’est fragile. The book has answered questions about life and death and there are many philosophical notes including a sentence that told by Mamie-Rose: << physical pain and mental suffering. Physical suffering, it suffers. The moral suffering, it is chosen >>. 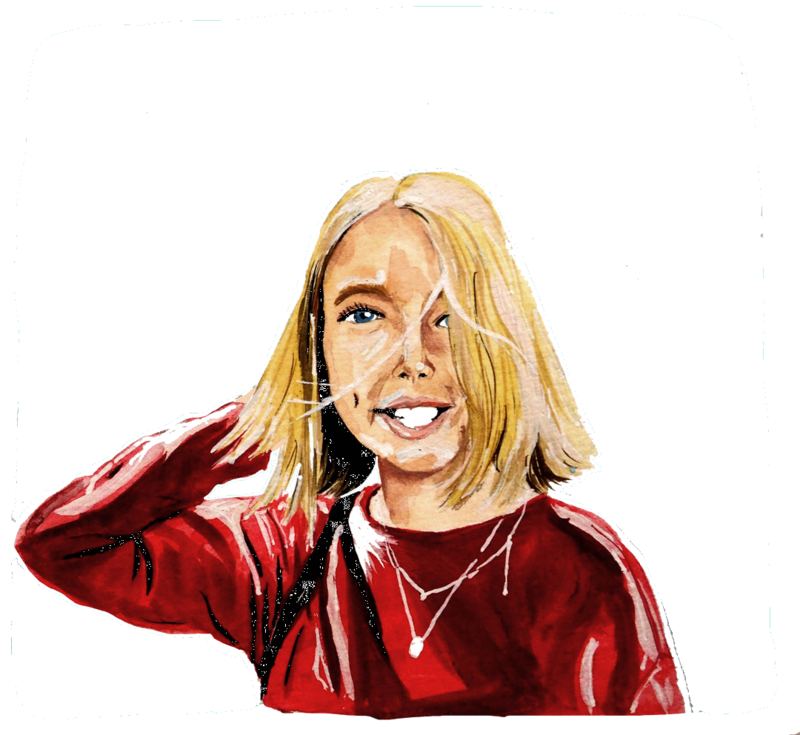 Perhaps the choice to write a book where the protagonist is a child makes the problem of live and death seems more serious or deep, there is no hope with his illness but there’s love – for Oscar this is Peggy Blue. We want Oscar’s happiness, maybe more because he’s a child. Oscar is a character that raises awareness of life – what a delicate subject. De plus, je dois dire que la présentation est aussi très intéressant grâce à quoi l’auteur Éric-Emmanuel Schmitt disait: << je pensais qu’il y avait quelque chose d’indécent dans la guérison: l’oublie de ceux qui ne guérissent pas. De là naquit ce livre. >> Et il continue: << il faut devenir capable d’accepter la maladie et la mort >>. Also, I must say that the introduction is also very interesting with what the author Eric-Emmanuel Schmitt said: << I thought there was something indecent in healing: forget those who do not heal. Hence arose this book. >> And he continues: << must be able to accept sickness and death >>. Le livre est triste mais ça m’a fait réaliser la vie est plein de bonheur et nous devrions se souvenir que tout le monde est dans le même lieu. Désormais, si vous pouvez lire le livre, en anglais ou en français je recommanderais ‘Oscar et La Dame Rose’ avec toute mon couer. The book is sad, but it made me realize life is full of happiness and we should remember that everyone is in the same place. Now, if you can read the book, I would recommend ‘Oscar and The Pink Lady’ with all my heart. 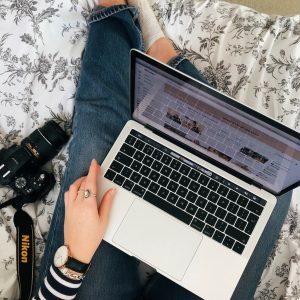 So… I can’t quite believe I have just written my first post in French, even if I know there are mistakes and those of you that are French and read my blog will probably wince and end up reading the patchy English translation. The one thing I can’t quite master is how to crack a joke or two in French, I feel like when I write in the language it’s quite rigid and formulated and thus the writing sounds that way as well. Also, I feel like my short review hasn’t quite done the book justice. 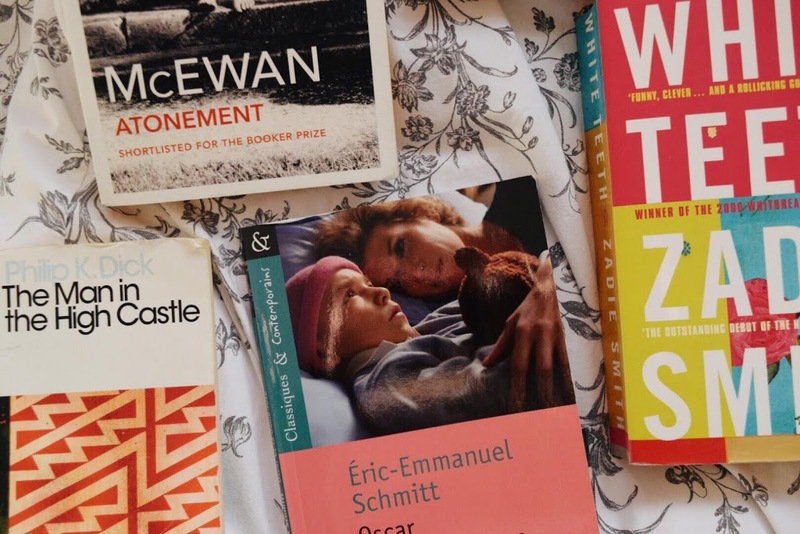 It was incredible and I really did feel a sense of achievement when I was reading it and I’m seriously happy that I am doing this book club because I want to be able to share with you my thoughts on amazing French books and break down the language barrier between the two. 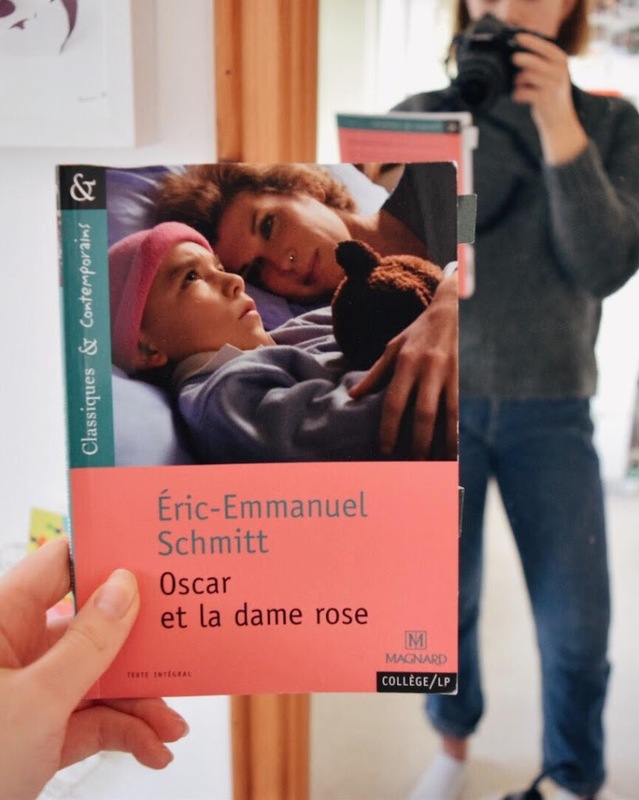 If you have any French books you’d like me to review, please let me know – as well as if you read ‘Oscar et La Dame Rose’ and your thoughts on it! (ps. 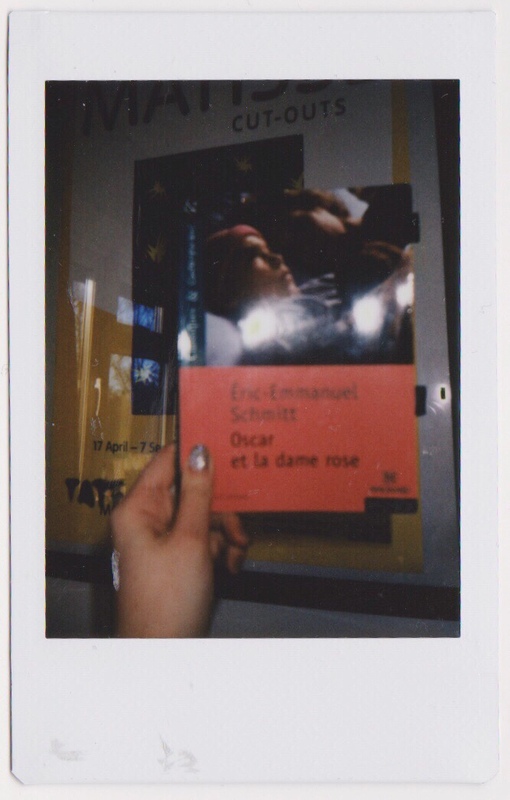 I’m going to do a pic of the book each month on my polaroid for the cover photo but my photos are never in focus – does anyone know what is the cause of this or if it is just me being stupid, all polaroid tips would be recommended). ← #anewageinspiration: What’s Your Legacy? the wool debate: can wool be ethical? Ah, Eleanor! C'était fantastique, ta française est super (mine is so rusty haha) et j'ai adoré le challenge de lire. Hier, je suis allé à une classe de Français (c'est un stage qui dure pour 9 semaine) donc c'était bon practice! Thank you so much Rosie! That’s so cool, I’ve never really thought about reading a french translation of an english book but maybe I’ll have to do that one month. 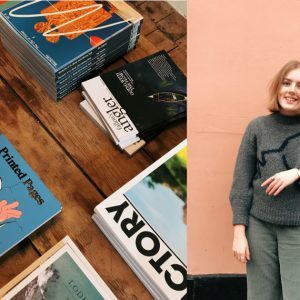 My college is great for languages and I feel like I’ve improved so much since starting compared to the level I was at secondary school – it is a huge learning process! I’ve already ‘commented’ via twitter but shall do so again on here! Well done on writing this in French, it’s super impressive and if you also have a topic on the Internet on your A-level course then you can always talk about your blog and how you’ve started writing about literature on there in French. It’s a really good way to get the speaking session going and your examiner will most likely be really impressed! I have so much reading and coursework to do right now, I don’t think if I’ll have enough time to read this book; perhaps it’ll be a summer read along with the other books you’ll be reviewing on here (just gotta wait on late June aaah) I’m looking forward to the next one!! !